Elizabeth Banks’ Charlie’s Angels reboot has been rounding out its cast in the past few weeks, with Variety reporting today (1st October 2018) that British actor and star of Love, Rosie (2014), The Riot Club (2014) and The Hunger Games (2013-2015), Sam Claflin, is the latest name to be confirmed for the movie. 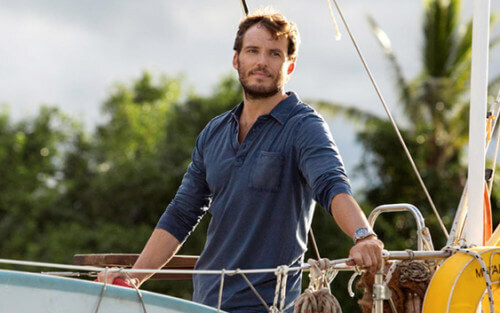 Claflin joins Sony’s reboot of the TV classic and ill-received McG movies (2000-2003) as an unknown character, reuniting with Hunger Games co-star and Pitch Perfect 2 director turned new Charlie’s Angels director Elizabeth Banks, who is also set to play one of the three characters set to replace the series’ team leader Bosley. Sir Patrick Stewart (X-Men) and Djimon Hounsou (Guardians of the Galaxy) have already been announced as the other two Bosley characters, with the Angels themselves comprising of Kristen Stewart (the first American actress to ever win a female actor award at the French César Awards for her work on Personal Shopper and the star of the Twilight franchise), Power Rangers (2017) star Naomi Scott and relative newcomer Ella Balinska. Luis Gerardo Mendez and Jonathan Tucker have also been announced. Director Elizabeth Banks has co-written the latest version of the script with the sreenwriter of upcoming thriller The Girl in the Spider’s Web Jay Basu and will act as producer on behalf of Brownstone Productions alongside Max Handelman. Doug Belgrad will also produce via Entertainment 2.0, along with Elizabeth Cantillon. The movie is said to be a global and youthful take on the Angels and is set for release on 27th September 2019.